When you spill coffee on your favorite shirt, or when you need to get the urine out of your clothes ASAP because your pet “did its business,” you panic. You grab your jeans and rush towards the laundry room, but quickly realize that you can’t even open the doors! That’s some laundry room organization! Once you finally break into your laundry room, you find it cluttered, unorganized and practically useless. 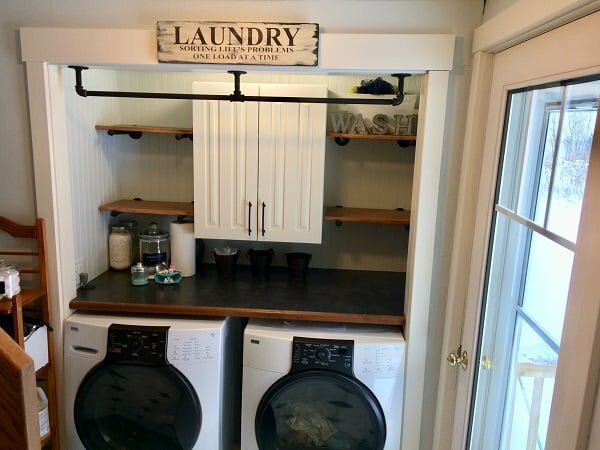 The alarm in your head rings and you say: “It is time for some reorganization!” If you too think that your laundry room needs reorganization, proceed with this article. 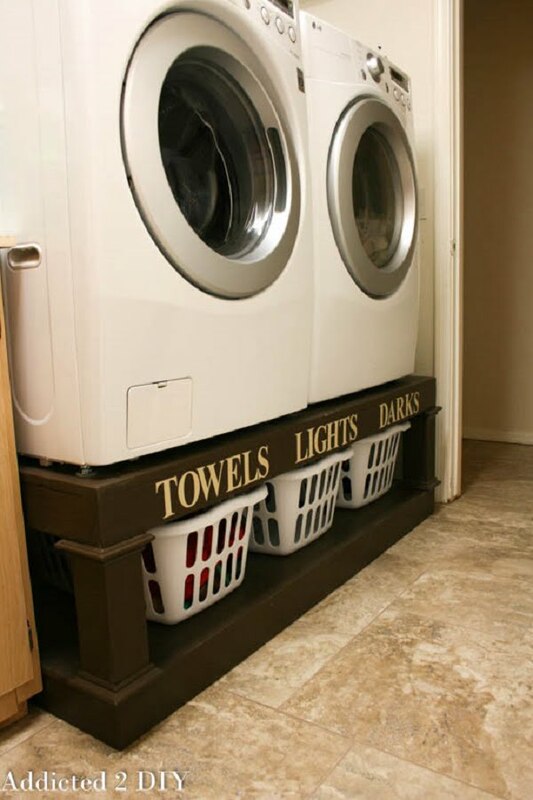 Laundry pedestals, whether they are DIY or professional made can save a lot of space in your laundry room. Moreover, these elements can organize your laundry room efficiently. If pre-made pedestals are too expensive for you, you could make them yourself, with a bit of determination and some simple tools! Hanging racks on your wall will do two things for you: saves and fills space. Does that make sense? Well, by hanging wall racks on your doors, you are using the area that would otherwise be useless. 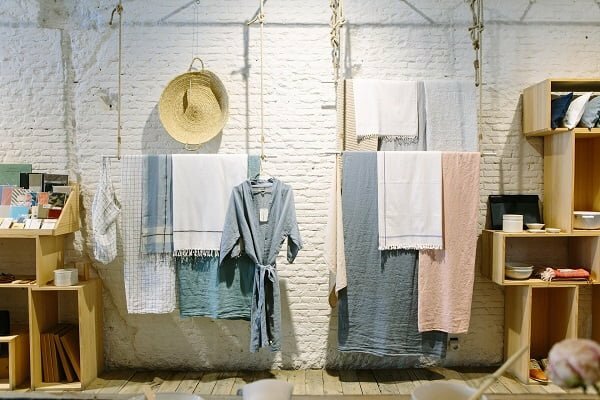 If your doors are already occupied with towel hangers, perhaps you could find a space on your walls. On these racks, you can store paper towels, detergents, toilet paper, and what not. Wall shelves are space savers and organizers for virtually any room in your home, including a laundry room. They are perfect for storing rolls of paper towel or toilet paper, detergents, sponges, fabric softeners, and so forth. Smart people figured out that you can chain the ladder drying rack to your ceiling. What you get out of this is extra space, better airflow, and faster laundry drying. Make sure, however, that your drying rack is firm and safely installed. If you can’t handle this project on your own, hire a professional to do the job for you. Related: What Makes A Luxury Home Builder Different? Again, if your wall allows it, install cabinets on your walls. If not, you can, of course, use self-standing cabinets, as long as they don’t take too much of your space. You can store pretty much anything in them, from laundry baskets to essential oil (for your clothes, of course!) 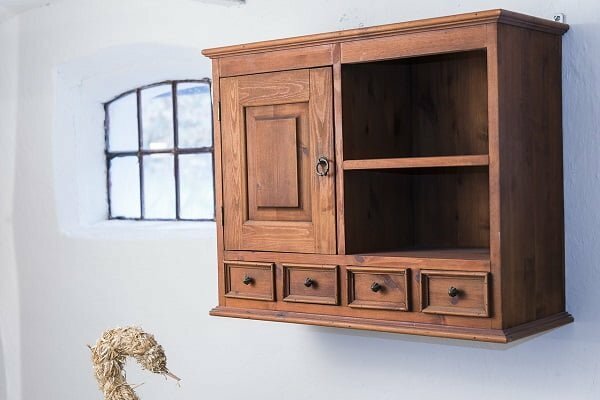 Use them wisely and don’t exceed the recommended weight limit on each shelf on the entire element, should you install the cabinets on your wall. Should we even mention that dressers are an excellent way of keeping all of your laundry baskets in one place? Well, what if that dresser was on wheels? Imagine sliding the furniture with baskets full of dirty clothes in, and a basket full of freshly washed clothes out? It’s convenient, smooth and classy. Moreover, baskets won’t be laying somewhere in your laundry room; instead, you’ll know exactly where to find them! If you don’t want to install a drying rack on your ceiling, perhaps walls would be a better place for them. Naturally, you can’t put everything on your walls, and we already recommended a bunch of things that could be wall mounted. Nevertheless, you can probably sneak in a rack or two in your laundry room. You don’t have to install a giant drying rack; small DIY wooden or metal shelves with 2-3 bars will do the job. You can put pretty much anything on rolling carts. If you don’t own one or haven’t seen one in your friend’s homes, you must have seen rolling carts in hotels or movies. Anyhow, if you decide to buy them or make DIY rolling carts, make them as narrow as possible. Most rolling carts are too broad, and you’ll end up using only 60-70% of its item-carrying capacity. 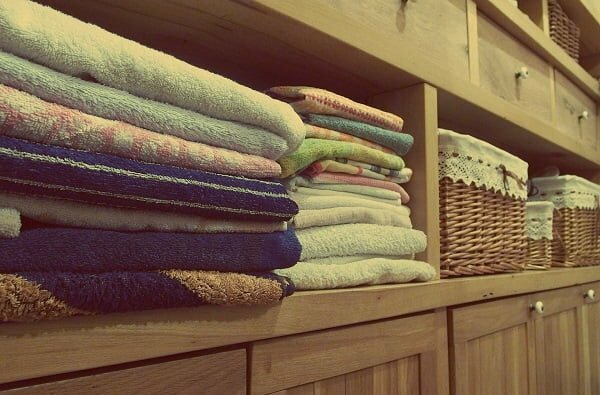 The rest 40 or 30% will take extra space in your laundry room. 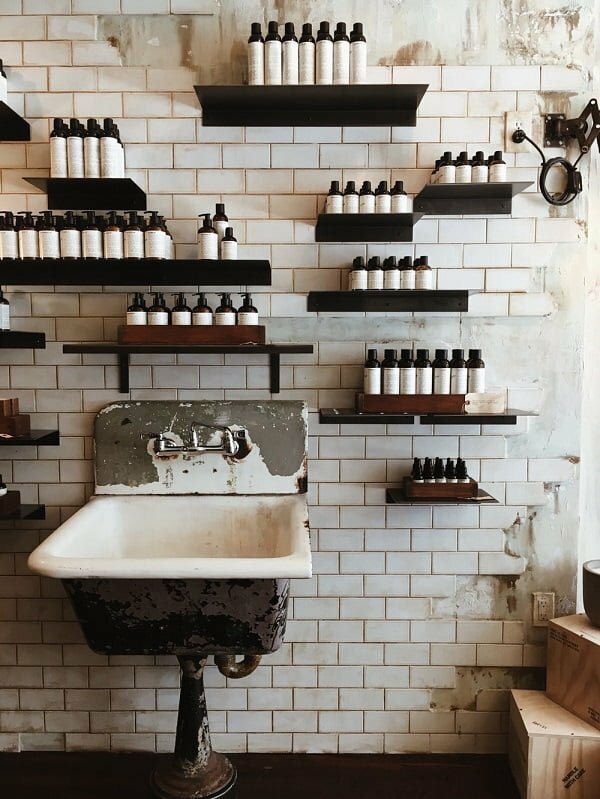 A floating shelf is just a fancy name for the simplest possible type of shelves you could install. Now, just because they are simple, they don’t have to be ugly. 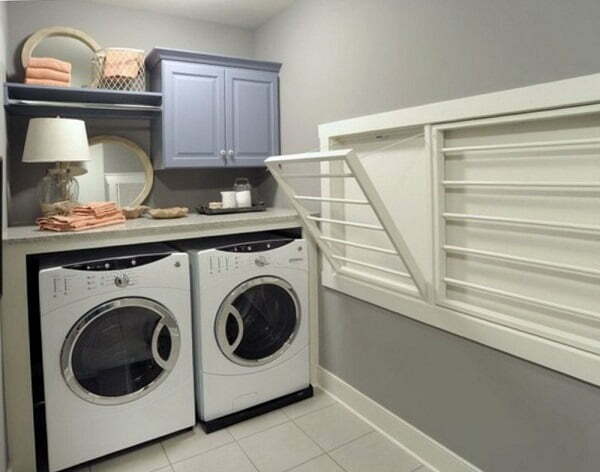 The best thing about them is that you can install them pretty much anywhere you want and independently of all other elements in your laundry room. You could also buy IKEA-like room organizers to start individual items in individual compartments. 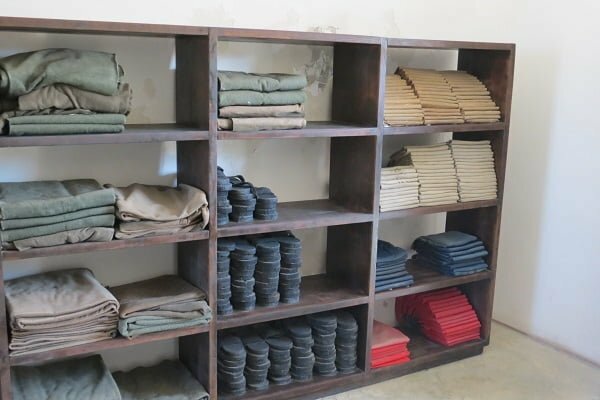 They don’t have to be fancy; it is only necessary that they serve the space-saving and organizing purpose. 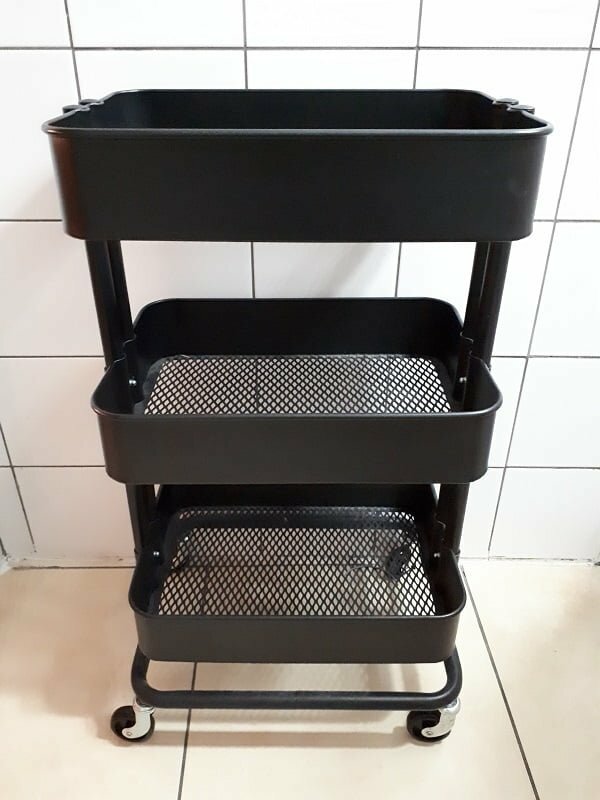 Now, you can opt for huge organizers (like the one in the picture above), or tiny organizer for keeping pegs or your favorite fabric softener. Related: How Are Insect Problems Affected by the Weather? If you opt for massive organizers, use them wisely. Just because they are named organizers, that doesn’t mean that they’ll organize the room for you! Clothes made of delicate fabric (such as silk or cotton) are best dried with the help of natural airflow. 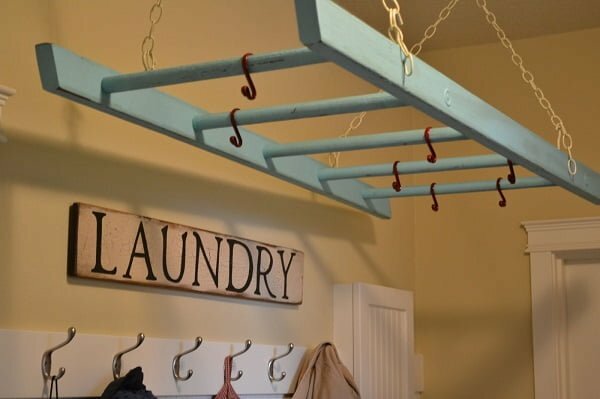 Now, you could dry these clothes on a drying rack, but it a bar allows you to separate delicate or expensive garments from your everyday wearing. Of course, you will need to get yourself a couple of hangers to hang the clothes on the bar. 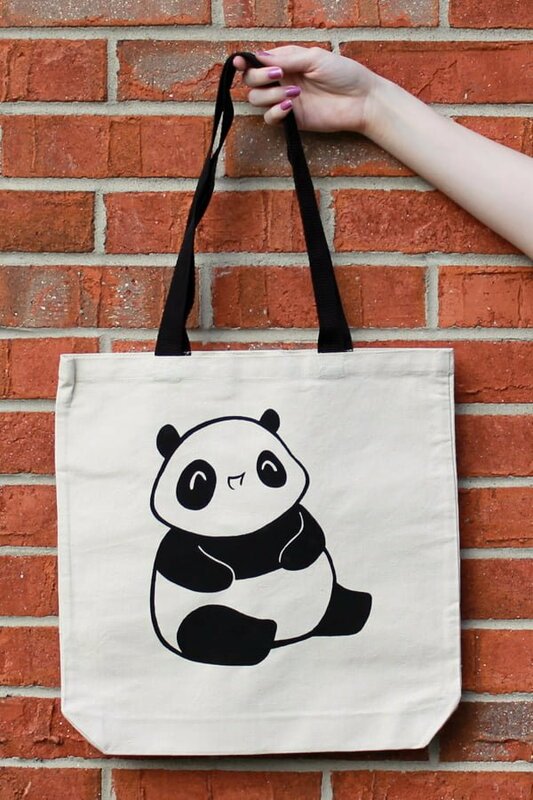 Canvas bags are a simple and inexpensive solution for keeping your clothes clean, and laundry room organized. Martha Stewart suggests that you use two bags; one for washing dirty clothes, and one for the dry cleaning. Note that the luggage bags are also foldable, meaning that you can save a lot of space by using them. Ideally, you will store them in one of the places we already outlined in this article. Keeping things clean and organized can not only make your life simpler but more productive and healthier. And you have to keep laundry room clean, sanitary and organized; it is the place that keeps your clothes clean and fresh! Most things suggested on our list are easy to implement. Also, if you are even remotely handy and disciplined, you’ll be able to construct most of these things on your own. And please, don’t feel overwhelmed by our list! Instead, start small. Pick one item, a simple thing, and then build on it. 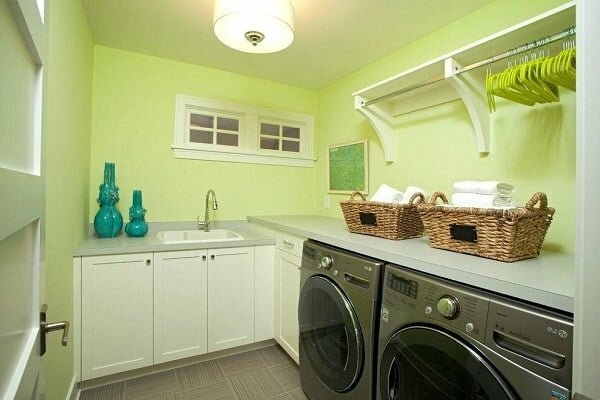 Once you see the positive effect, you’ll immediately begin to reorganizing your entire laundry room!